Spring makes it to New York City and EUPHORIUM BROOKLYN launches CILICE at the 24th edition of Sniffapalooza Spring Fling, April 30th – May 1st, 2016. The wonderful Twisted Lily team! Visit Sniffapalooza for an overview of the events, perfumers, and locations that are a part of this year’s Spring Fling. 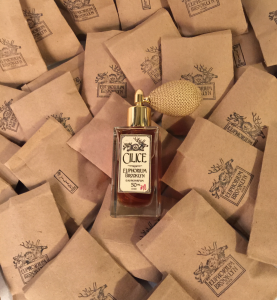 CILICE samples ready for everyone! Stephen Dirkes from Euphorium Brooklyn will join several international perfumers to speaker at the EAU de Sniffapalooza Showcase, a panel hosted by Mark Behnke at La Mela Italian Restaurant in Manhattan on Sunday. 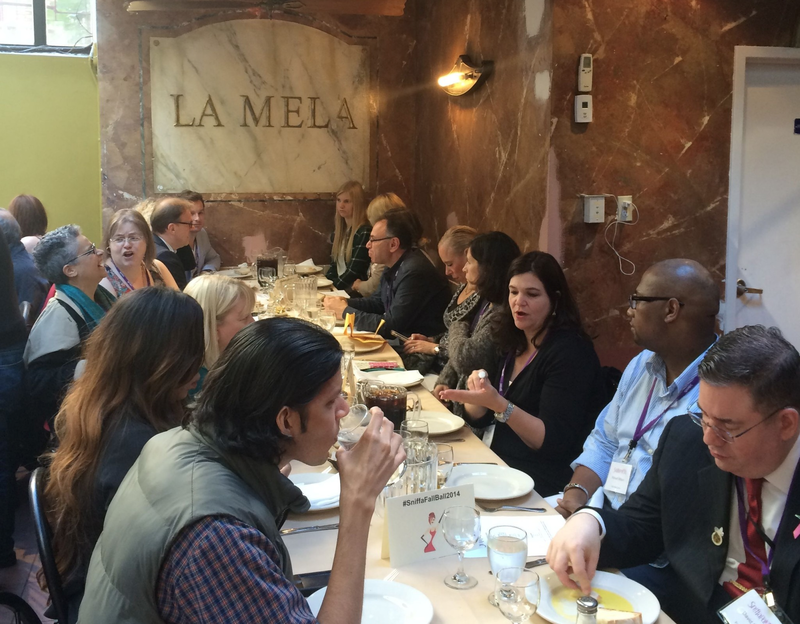 Register for the presentations and five course lunch with wine. 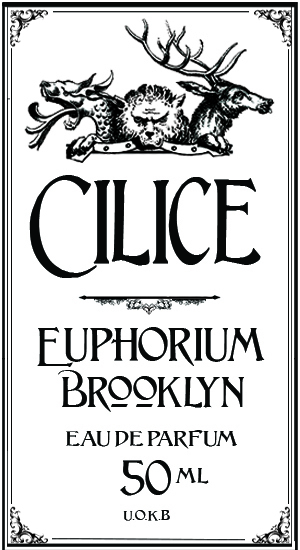 We will have samples of CILICE available for all Sniffapaloozans to take home! You can opt for Saturday, Sunday, or both days of events throughout the city. Alessandro Brun & Riccardo Tedeschi of Masque Milano & Associazione Caterina; Stefania Squeglia of Mendittorosa Odori d’Anima; Aggie Burnett of Nomaterra; Perfumer Cécile Zarokian; Caroline Fabrigas & Abby Wallach of ScentInvent Technologies; Mark Crames and Zack Melson of Demeter Fragrance Library; Sue Phillips of Scenterprises & Scentarium; Shalini of Shalini Parfum; Francoise Alessi of Annick Goutal; Barbara Herman of Eris Parfums; Mary Orlin of WineFashionista; Mark Behnke of Colognoisseur; Lyn Leigh & Mary Ellen Lapsansky of the Perfumed Plume Awards; Jose Penalba of Floris London; Christina Acevedo of Tocca Fragrances; Joseph Quartana of Six Scents & Parfums Quartana; Miryana Babic of i Profumi di Firenze; Arielle Weinberg of Arielle Shoshana; Paula Pulvino of VOTM Perfume; Anastasia Sokolow of Suleko; Jane Stevens of KEEN; Hiro Nakayama of Project Felicia; Teri Johnson of Harlem Candle Company; Laurie Petrucci of L’arganique Beauté; Francois Damide of Crafting Beauty and Parfumerie de France; Mary Gooding of Puredistance; Stephen Dirkes of Euphorium Brooklyn; Gerard Camme & Ross Barry of Atelier Cologne; Tom Crutchfield of Roja Parfums; Kelly Fraser of Antica Farmacista, Irina Adam of Phoenix Botanicals; Reps from The Fragrance Kitchen, House of Sillage, Diana Vreeland Parfums, Houbigant, Guerlain, Robert Piguet, Creed, Jo Malone, Clive Christian, Bottega Veneta, Donna Karan, Molton Brown, Lubin, The Third Man, A Dozen Roses, Maison Francis Kurkdjian, Givenchy, Jean Patou, Chanel & Chanel Les Exclusifs, Diptyque, Caron, Aerin; Estee Lauder, Prada, Van Cleef & Arpels, Tiziana Terenzi, Le Labo, Kiehls, Chloe, Fresh, Apothia, Amouage, Sisley, Hermes, Jul et Mad; Balenciaga, By Kilian, L’Artisan Parfumeur, Fornasetti, Slumberhouse, Kerosene, Keiko Mecheri, Judith Leiber, Undergreen, Au Pays de La Fleur D’Oranger, Tola, Mancera, Laboratorio Olfattivo, JAR, Annick Goutal, Volnay, NEST, Serge Lutens, Olfactive Studio , MEMO Paris, Ex Nihilo, Regime des Fleurs, Miu Miu, Armani Prive, Blocki, Laura Mercier, Hermes, Charenton Macerations, Monsillage, Isabey, and scads of others! Sniffapalooza is the creation of Karen Dubin, and the event has reached new proportions with the collaboration of Karen Adams. Sniffapalooza Events occur several times a year and draw hundreds of kindred spirits, both men and women, of all age ranges. Members meet perfumers, representatives from fragrance houses, fragrance journalists, authors and celebrities. 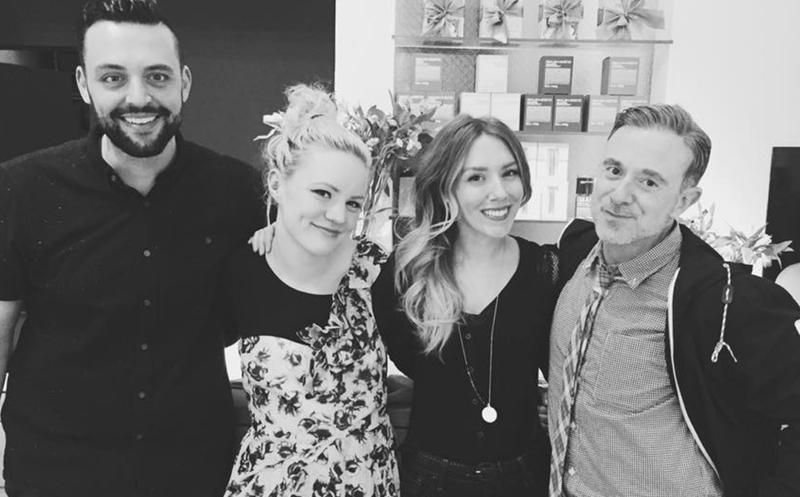 They preview new launches, are privy to special motion picture screenings, and participate in fragrance workshops. 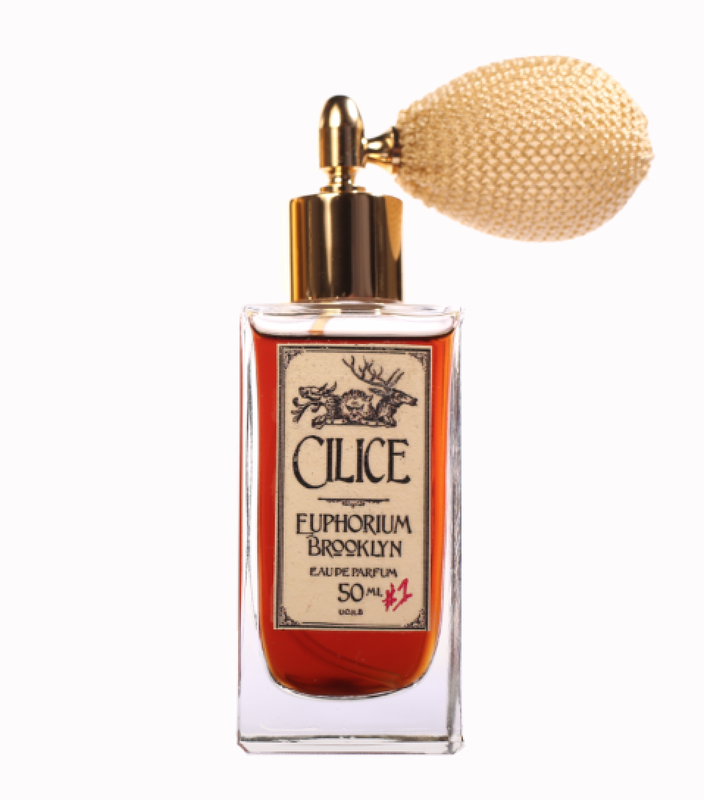 Past events have been held at Bergdorf Goodman, Barneys, Bloomingdale’s, Saks Fifth Avenue, Henri Bendel, Birchbox, Takashimaya, Annick Goutal Boutiques, Krigler Perfumery, MiN NY, Lafco NY, Le Labo, Bond No. 9, and Anna Sui. Demeter, Aedes de Venustas. 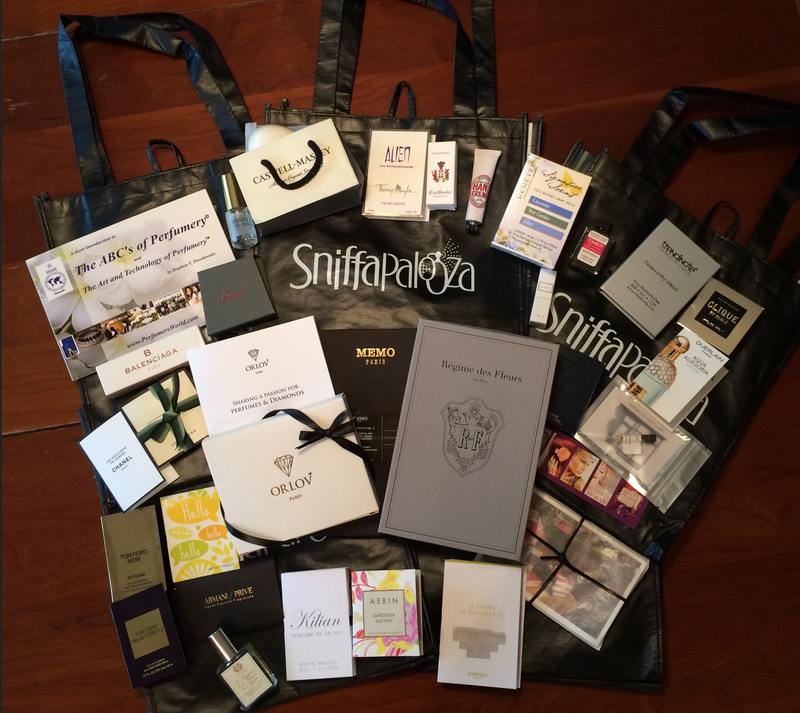 Creed, Guerlain, Chanel, Molton Brown, Thierry Mugler, L’Artisan and Cartier have held Master Classes for Sniffapalooza. 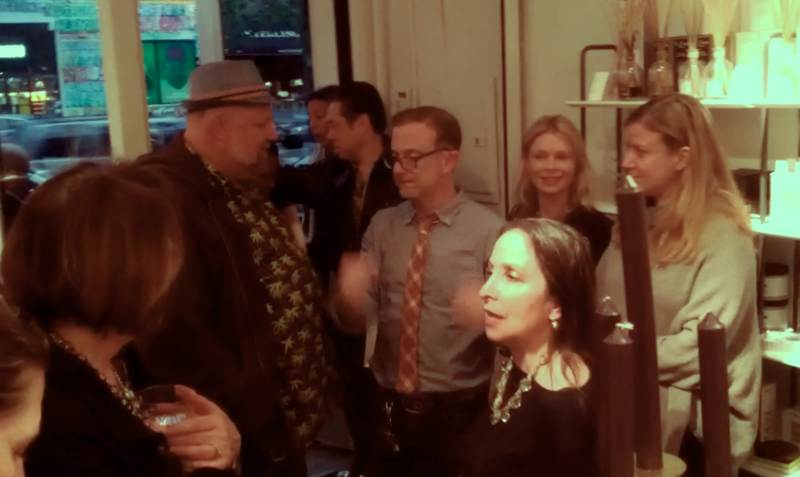 Ron Robinson of Apothia at Fred Segal and Luckyscent hosted Sniffapalooza for West Coast Events. 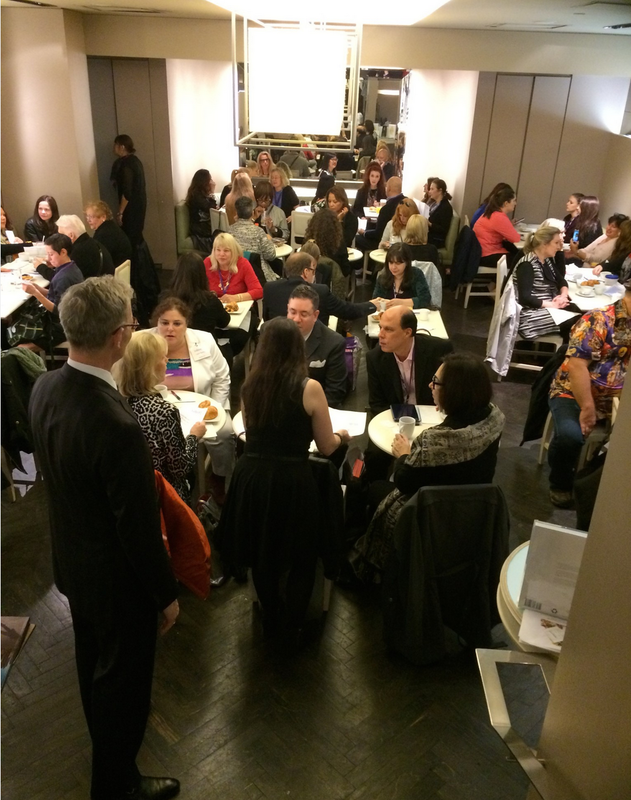 Ida Meister’s event review for Fragrantica. Hernando Courtight’s event review with Michelyn Camen, EIC, for CaFleureBon. Mark Behnke’s event review for Colognoisseur.